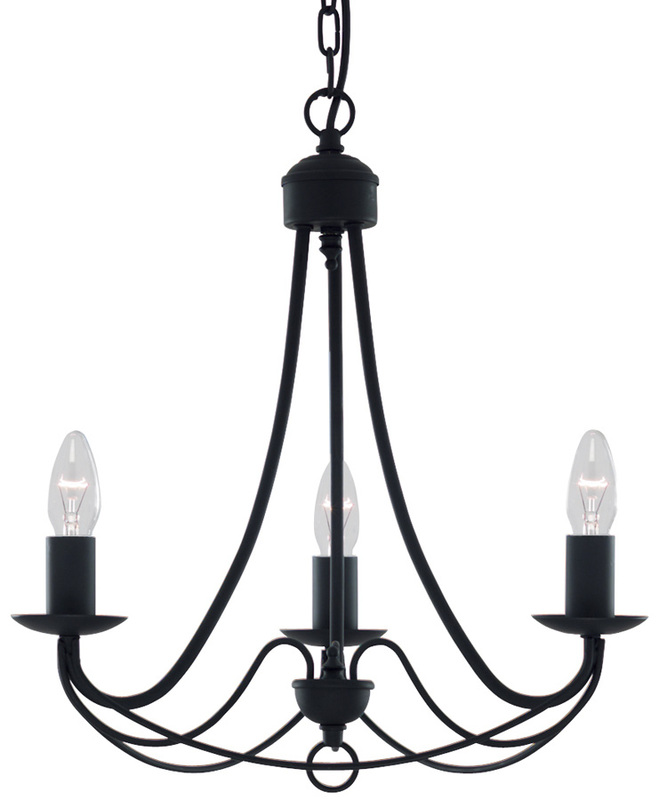 Wrought iron classic bird cage three-arm ceiling light finished in matt black, with metal candle tubes and matching candle tubes. Part of the Maypole range of traditional wrought iron lighting. Height adjustable, maximum drop 1000mm.